Charities say cancer patients find it hard to get travel cover. The success of a company that provides travel insurance for cancer patients is being celebrated by the Queen on her 81st birthday. Surrey-based Medi Travelcover Ltd is one of 119 companies to receive the Queen's Award for Enterprise. Also among the British brands honoured are the fashion retailer Monsoon and the Edinburgh Military Tattoo. Both are praised for their international success and growing overseas earnings. The Queen's Awards are said to be the most prestigious honour the government can give to a firm. The organisers said Medi Travelcover Ltd, a small company also known as InsureCancer, offers a "highly appreciated" service, providing cover at "realistic prices" by looking at cases on an individual basis. 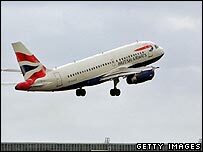 Cancer charities say patients generally find it hard to get travel insurance because of their illness. The Edinburgh Military Tattoo wins an award in the international trade category for doubling its export earnings to £1.9 million over three years. The awards' organisers said the annual event presents a unique musical entertainment which has become an attraction in countries from the US and Australia to the Czech Republic and China. Major General Euan Loudon, who is in charge of the Tattoo, said: "We are thrilled to have won such a coveted award." High-street chain Monsoon, which also owns Accessorize, was founded by Peter Simon on a market stall in London's Portobello Road in 1972. It now has more than 800 stores in more than 40 countries. Other winners include Oxfordshire-based FlavourActiV Ltd, which has developed software which assesses the competence of professional beer tasters, and Bristol's Solagen Limited, which makes solar-powered road signs. De La Rue Currency of Basingstoke, Hampshire, won an award for developing a banknote security thread which allows people to check that notes are real. And yacht builder Sunseeker International, based in Poole, Dorset, won for the fifth time for increasing its exports by more than £50m in three years. The lifetime achievement award was won by Joan Richards, youth business advisor of Business Connect in Neath, Port Talbot, south Wales. She was singled out for her work in the deprived former coal-mining community over the past 23 years. Queen's Award winners hold the title for five years and are entitled to fly the award flag and use the emblem. The Queen's Award to Industry, the scheme's original title, was instituted by Royal Warrant in 1966.